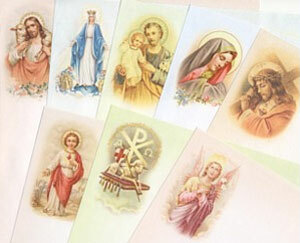 48-sheet pad, variety of sixteen religious pictures. Envelopes not included. 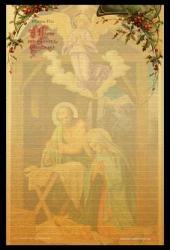 32-sheet pad, variety of eight religious pictures. Envelopes not included. 5½" x 8½" quality sheets. Purchase with or without envelopes. Choose your style of envelopes below. 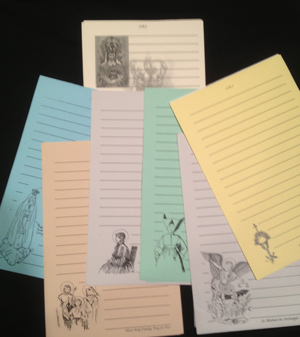 You may also choose to purchase just the notesheets in sets of 50 or 100 sheets. Please note: the 100 sheets cost a little more but your per sheet price is a substantial savings! 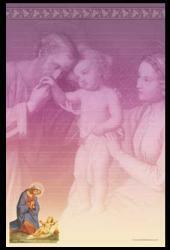 Set of 50 - 5½" x 8½" quality sheets. 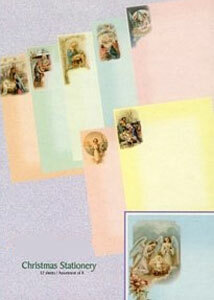 Set of 100 - 5½" x 8½" quality sheets. 5½" x 8½" quality sheets. 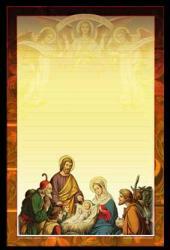 You may choose to purchase the notesheets in sets of 50 or 100 sheets. Please note: the 100 sheets cost a little more but your per sheet price is a substantial savings! 5½" x 8½" quality sheets. 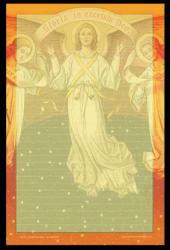 Please note: All that are left in this style is a set of 25 sheets with white envelopes. The envelopes shown in the picture are no longer available. 5½" x 8½" quality sheets. 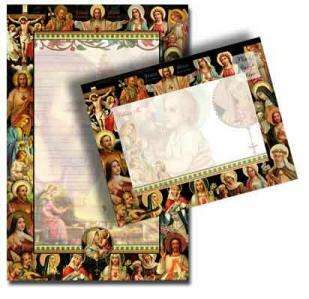 64 Piece Boxed Assorted Catholic 5 1/2" x 8 1/2" Notesheets Stationery set. This set includes 32 printed sheets and 32 envelopes. 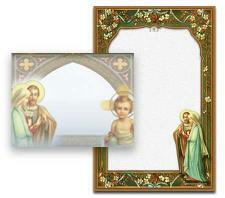 These stationery sets make lovely gifts for feast days, birthdays, anniversaries, sympathy, and get well wishes. 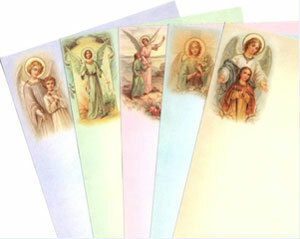 When you send your correspondence on this stationery it is like giving a gift as well!